WASHINGTON, D.C. – Much like real estate where the three determining factors for success are location, location and location, the job market and unemployment seem to be much the same. While comparing March to February may be like comparing apples to bananas, the hyperbole on the national level has not trickled down to the local job market. 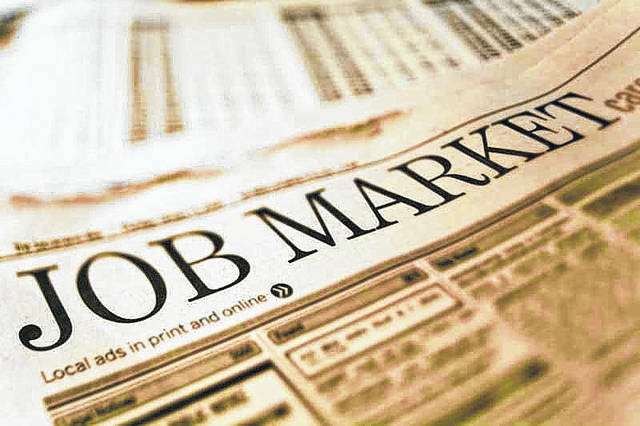 According to figures released in late March by the Ohio Department of Jobs and Family Services in conjunction with the U.S. Bureau of Labor Statistics, Scioto County had the dubious distinction of having the 10th worst unemployment rate of Ohio’s 88 counties. For February, the most recent month for which statistics are available, the local unemployment rate was 7.4 percent. Among all Ohio counties, the highest unemployment rate was in Monroe County in far eastern Ohio, where 10.4 percent of the population presumably is looking for work. The lowest unemployment rate among Ohio’s counties was nearly 8 percentage points lower. Mercer County in extreme western Ohio earned that distinction with an unemployment rate of 2.9 percent. Acosta said average hourly earnings in March rose by 2.7 percent during the previous 12 months, and the three-month average increase in earnings is the highest since 2009. In Ohio, unemployment rates increased in four counties, decreased in 83 and remained the same in one county comparing February to January. The comparable unemployment rate for Ohio was 4.8 percent in February. Davis says Portsmouth and county officials have initiated collaborative efforts to identify specific problems and resources to strengthen the local job market. An example of the improvement in communication between the city and county, Davis points to a meeting with Portsmouth Acting Mayor Kevin E. Johnson about ensuring funding for Scioto Access, the county’s public transportation system. Davis also noted how the county helped fund a municipal swimming pool in Portsmouth. “We are working on multiple fronts,” Davis says. Davis also believes efforts by the county’s economic development team will translate into the betterment and economic growth of Scioto County.